The combined B.S.in Mechanical Engineering (BSME) and MBA program is a partnership between Purdue's College of Engineering and the Krannert School of Management. The program allows highly competitive, qualified BSME students to complete their B.S. and MBA degrees in five years. 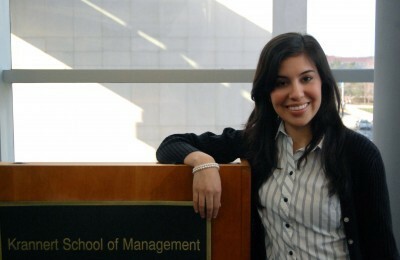 Each year, a significant number of engineering graduates pursue an MBA degree at U.S. business schools. The MBA is seen as a complement to the engineer's technical education, giving him/her an understanding of the business context within which many technical decisions are made. Many employers have a strong preference for hiring MBAs with engineering backgrounds, particularly in the manufacturing and technology sectors (in which Krannert and the College of Engineering enjoy many longstanding relationships with leading employers). The BSME\MBA combined degree will provide top BSME students an efficient and cost-effective path for developing management knowledge, as well as the highly valued credential of an MBA degree. It will also open new job opportunities for graduates which expedite their progression to high level management positions. Students are also required to schedule a meeting with the Purdue MBA and Master's Programs Admission Office to determine their readiness to enter master-level coursework and review credit hour requirements. After interviews, students will be counseled by staff with recommendations about the potential viability of their application. Students who are encouraged to apply will complete the Graduate School application in early spring of their junior year. BSME students entering the MBA program will be required to take 60 credit hours of master’s level courses once they enter the MBA program; any master’s level courses completed prior to their enrollment in the MBA program cannot be used to meet requirements of the MBA.